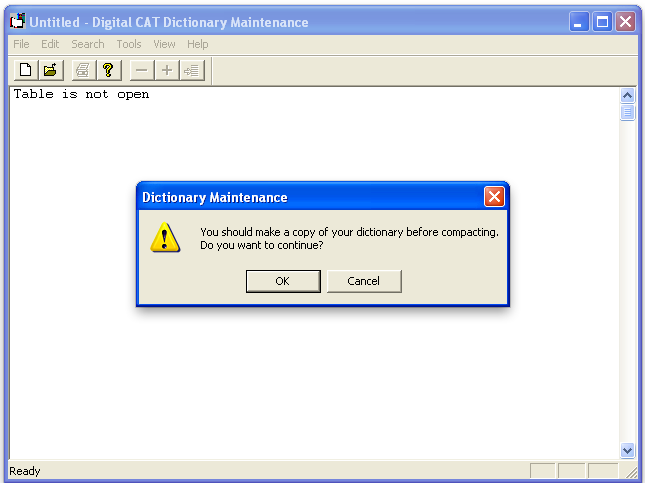 You get to a job, fire up your CAT software of choice, and you see a message telling you that your dictionary is bad? 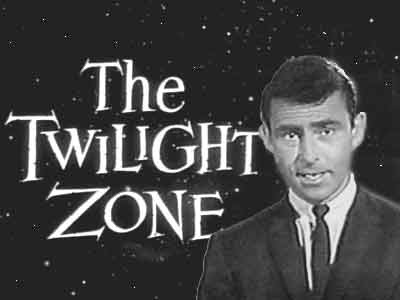 I'm pretty sure you know without experiening it for yourself that that is something you never wish to experience, EVER!! Of course, it's easy to say, "Dude -- you should just restore from your backup!" 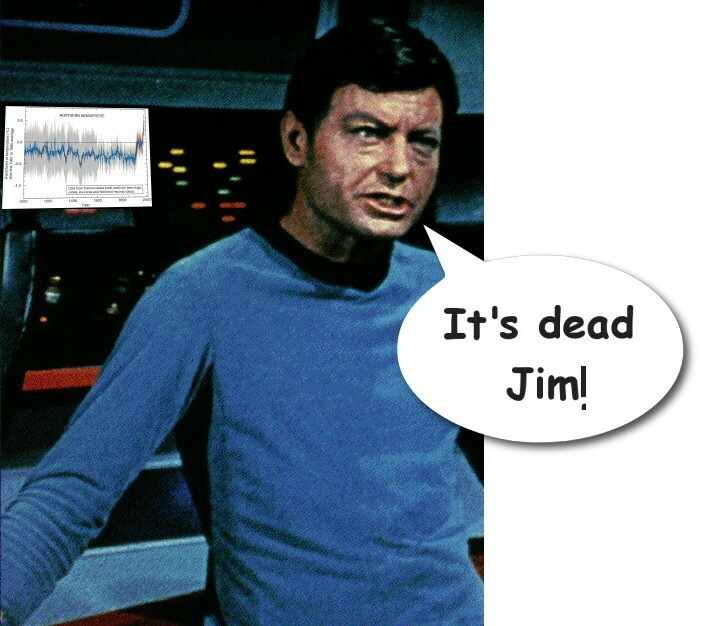 Not so good to hear if your backup is not with you -- or worse, also corrupted. One of my Facebook friends experienced this very thing (fairly) recently, and I was able to resurrect her corrupt dictionary for her -- unfortunately, the class she was providing CART services for was over by then, but she was able to retran the notes from the class against the now working dictionary. ... and suddenly, your day is not looking like it's going to be very much fun. "I'm sorry, there's nothing we can do!" Undaunted, you go on with your job -- but your client is not able to read all of your strokes, because of that missing corrupt job dictionary. This actually happened to one of my Facebook friends recently, and (naturally), she posted the issue as her status, and I saw it go by in the sidefeed. We talked for a bit, and I asked her to send me her dictionary, and I'd see if I could figure out something. ... and I did. This article is intended to help you if you should happen to find yourself in a similar predicament. "Okay, Wise Guy. What Did You Do?!?" 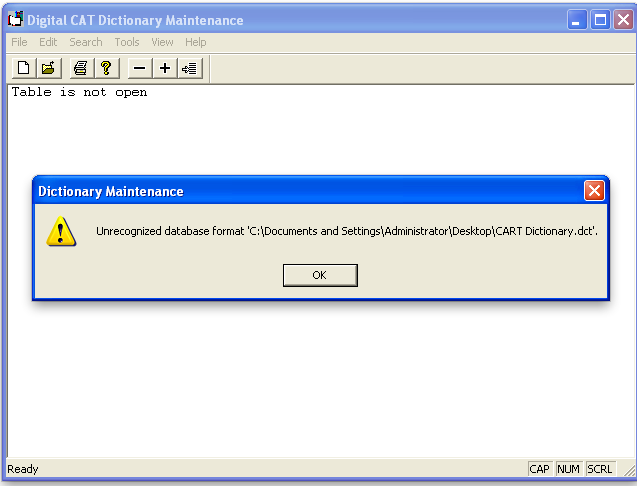 Well, first I did some stuff that didn't work ... and then I remembered something I'd seen a few years back, when I first started using digitalCAT -- an error message talking about something called "Microsoft Jet database." 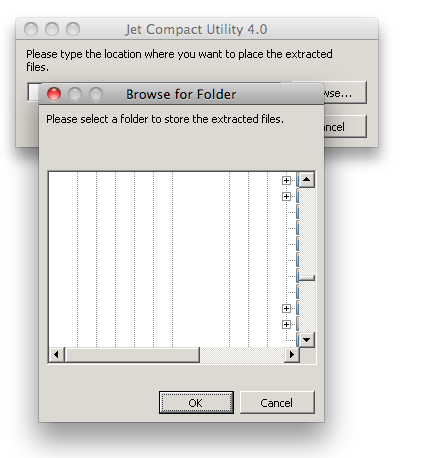 "MS Jet database" "corrupt" "repair"
After wading through a lot of results, I finally found something I could download that would fix a corrupt database. 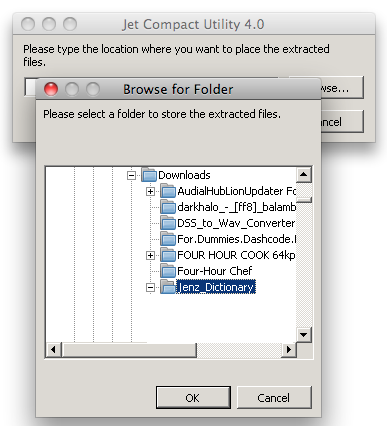 It was called, Jet Compact Utility. I read through the instructions and downloaded the file ... but it was a .exe file, and I was on my Mac. Pish-posh! My Mac is running Wine! It should be able to handle this task! Turned out that the file I was downloading was an installer with poor window management skills, so I didn't know what was going on at first. That is to say, when I double-clicked the installer and clicked the "Browse" button, it brought up a window with a lot of weird looking lines. Not knowing what to do, I clicked "Okay." 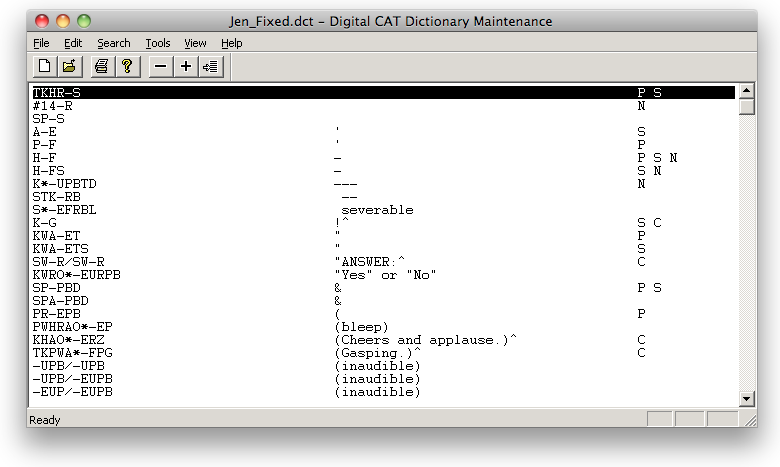 I then decided to make a folder for this, so I hit the Cancel button, and made a copy of the damaged dictionary (always a good idea during a fix of this sort) in another folder, which I cleverly named "Jenz Dictionary," seeing as how the woman I was trying to help was named "Jen." 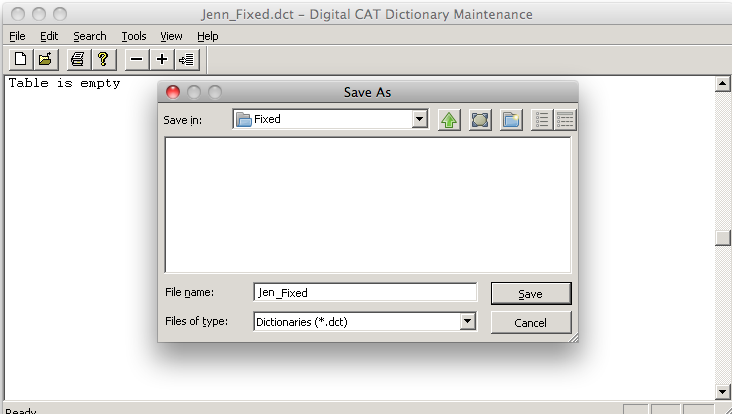 I then moved Jen's damaged dictionary into that folder, along with the installer and ran it again. When I did that, I ended up with two files -- a Word document with the instructions, and the actual executable file. 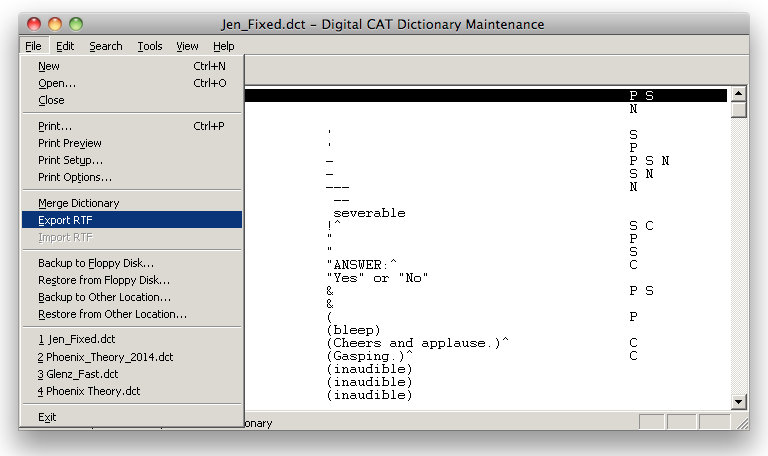 After a dry run, I discovered that to fix the corrupted dictionary, I needed an empty dictionary for the corrections to be copied to ... so I created the "Fixed" folder seen in the previous picture, and used my copy of digitalCAT's Dictionary Maintenance Program that I have running under Wine and created the empty dictionary, "Jen_Fixed.dct"
Note: My copy of the Dictionary Maintenance program could *NOT* open Jen's dictionary normally (she's running a newer version). 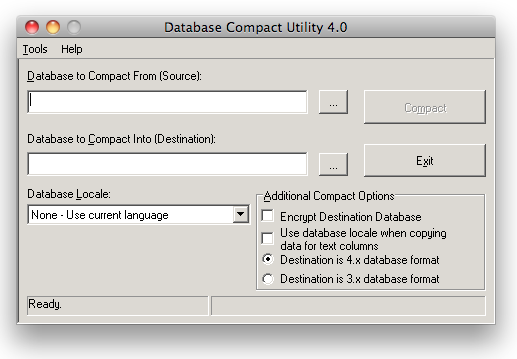 Once that's done, click the "Compact" button ... and wait. ... because Jen's computer would have had to convert it to the new format. ... But Wait a Minute. Look at that last picture up there. Do you see the "Tools" menu? But Wait ... What's THIS?!?! 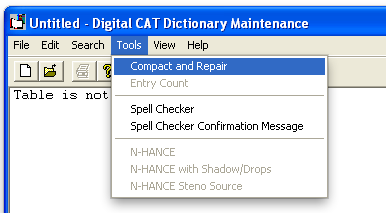 Looks like the repair tool is BUILT INTO the Dictionary Maintenance program! ... which merits a test! 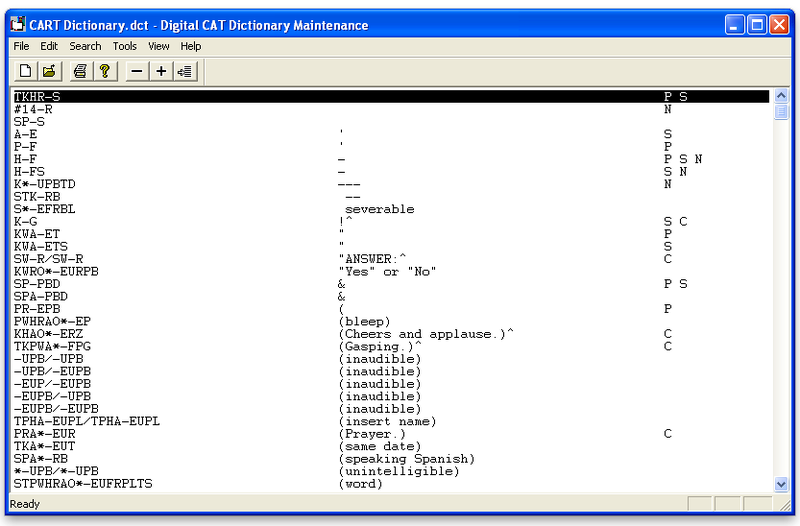 I opened my old copy of VMWare Fusion -- which is still running XP Pro -- opened the Dictionary Maintenance program in there, and copied the corrupt dictionary to the desktop. 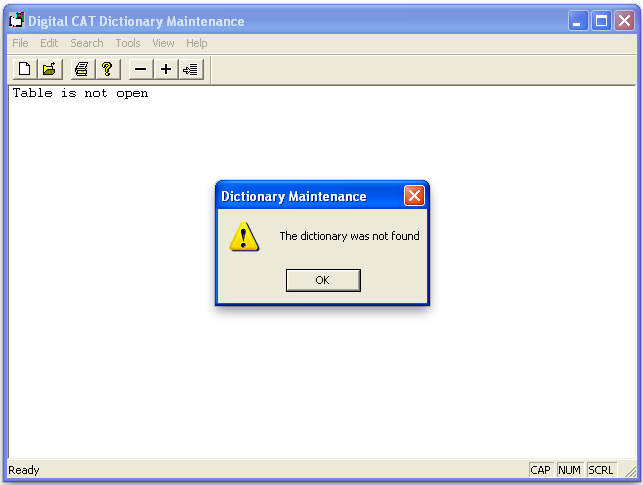 ... so now we know the dictionary is still corrupt, which makes it a prime candidate for this test. 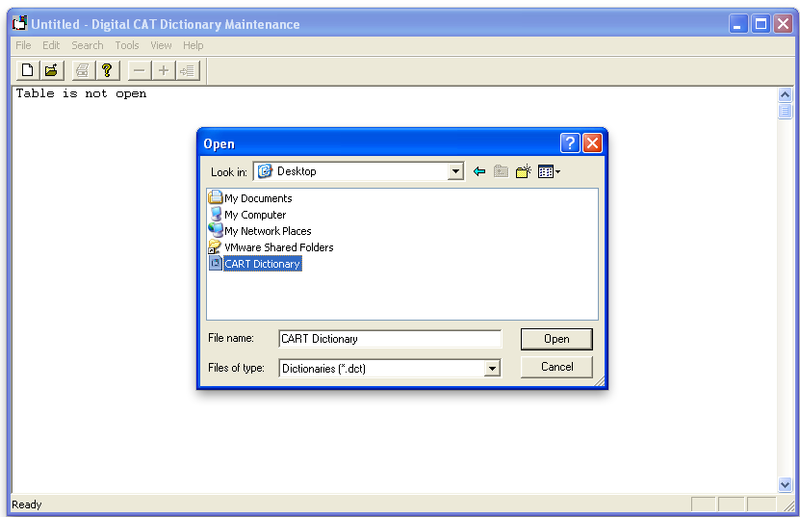 ... you get an empty dictionary window, just like the one you started with. 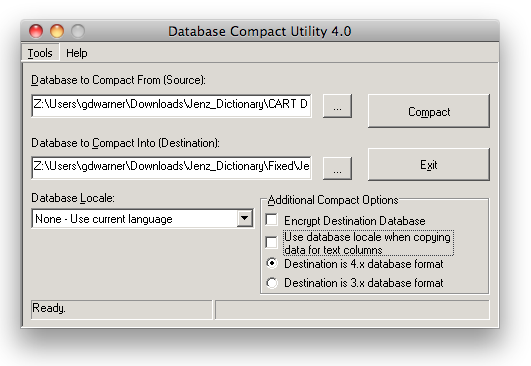 ... at which point, you can do File --> Open and point it at your formerly corrupt dictionary. Clearly the way I went about this at first was a *LOT* more difficult than it needed to be ... but that experience lead me to the more elegant solution. ... which hopefully, you'll never have to use!